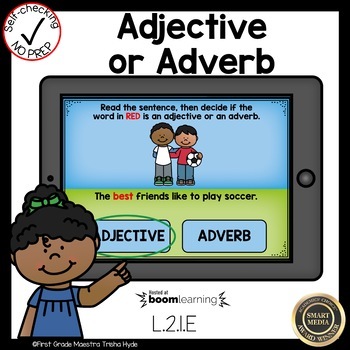 Do you want to make learning to differentiate between Adjectives and Adverbs fun? 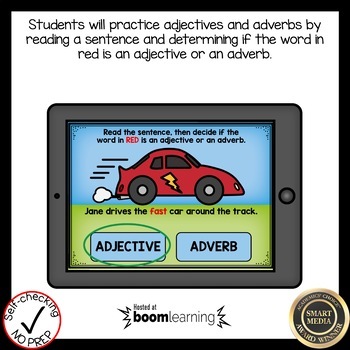 Are you looking for purposeful, digital, NO PREP, paperless practice for using Adjectives and Adverbs in context? This product is for you! 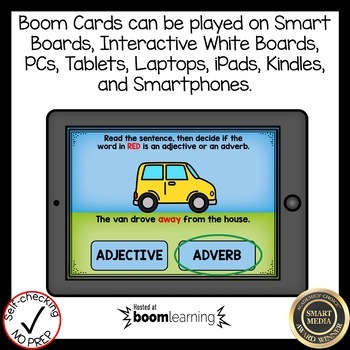 This Boom Cards™ deck provides students practice with identifying adjectives and adverbs. In this deck, students will practice finding Adjectives and Adverbs with these 40 NO PREP Task Cards. 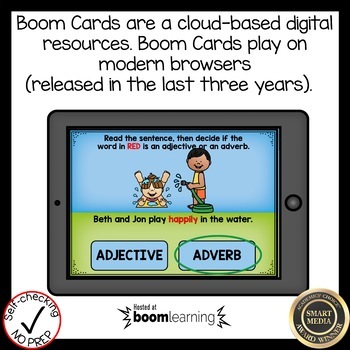 A link to your purchased deck on Boom Learning℠ which contains the Adjective or Adverb download.